A few friends recently suggested I read Quack This Way: David Foster Wallace and Bryan A. Garner Talk Language and Writing, and I found it surprisingly prophetic to common habits and assumptions of modern preaching. The book is a long interview between lexicographer Bryan Garner and late author David Foster Wallace on writing. I’m a preacher more than a writer, yet these insights illuminated some of my flagrant fouls as a preacher. Wallace is concerned about good communication—that is, why some material transforms readers and why other material, well, doesn’t. His words on writing reawakened my imagination for preaching. Here are a few lessons. I’ll begin with what Wallace dubs most important: clarity. “Probably the biggest thing for [young writers] to remember,” he says, “is that someone who is not them and cannot read their mind is going to have to read this.” May I translate for preachers? Probably the biggest thing for us to remember is that someone who is not us and cannot read our minds and did not read the books we read will have to listen to our sermons and understand them. Like anyone else, preachers are forgetful people. We forget what it’s like not to be at our level in knowledge or training. This is really a sign of immaturity. A sign of maturity would be to love people with our words in a way we know they understand. Preachers have an edge on writers in this regard, since there are actual people we know personally who will listen to us each week. Will Carol understand this argument? Will Felix catch this allusion? Having persons we know and love in mind as we construct our sermons goes a long way. In the broadest possible sense, writing well means to communicate clearly and interestingly and in a way that feels alive to the reader. Where there’s some kind of relationship between the writer and the reader—even though it’s mediated by a kind of text—there’s an electricity about it. In the Reformed circles I run in, we tend to focus on fidelity to the text more than anything else. I’m thankful for that focus. But we often underestimate how the medium of preaching and our use of language can function like smelling salts to awaken our listeners to the truth of the text. Is there any “electricity” when you speak to your people? I’m not talking about the volume of your voice or merely heightened emotions. I’m talking about your use of words—words that make people feel things. Do your words of your message carry the weight of your message? Jonathan Edwards once compared our efforts to subdue God’s wrath with our works to a spider web trying to stop a boulder rolling down a hill. There! In a sentence, the doctrine of justification by faith alone becomes three-dimensional. As Wallace put it, our writing should have calories in it for the reader. So should our preaching. try to imitate it word for word so that you can feel your own muscles trying to achieve some of the effects that the page of text you like did. If you’re like me, it will be in your failure to be able to duplicate it that you’ll actually learn what’s going on. This brings up an awkward subject for preachers. We’ve probably all listened to someone and thought, Man, that guy’s just trying to do his best impression of John Piper up there. Somewhere Don Carson gave the advice: If you listen to one preacher and you become a clone; listen to two and you sound confused; listen to dozens and you become wise. I remember taking Carson’s advice to heart. I listened to dozens of preachers. But at some point I began resonating with a few, and others began falling off my listening list. I don’t think I began copying what those preachers did, but I began learning how they did it. And soon, my own voice started to develop. At this point, though, you’re no longer looking for a voice. Instead, having found one, you begin to nurture what’s there. You’ve found a “taste,” and that taste needs to grow up. At this point, I believe, preaching becomes interesting. I don’t mean clever or smart. But a preacher with his own voice begins to give meaningful sermons in a way he didn’t before. Why? Something of his inner life begins to come out. In other words, something that set his heart on fire begins to catch fire in his listeners. 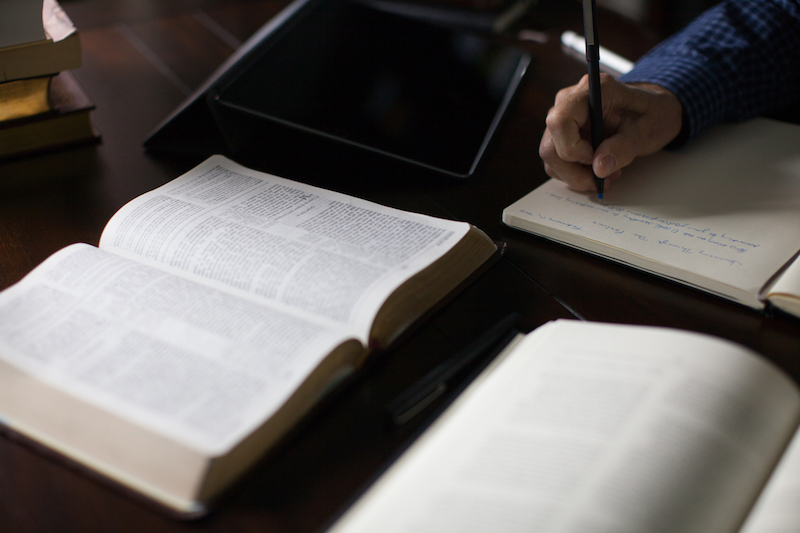 That’s something more than just being able to effectively outline your sermon. I think a smarter thing to say is that in many tight, insular communities—where membership is partly based on intelligence, proficiency, and being able to speak the language of the discipline—pieces of writing become as much or more about presenting one’s own qualifications for inclusion in the group than transmission of meaning. Preachers, we must avoid constructing our sermons to address questions like: “Don’t you think I’m smart enough? Don’t you think I know what I’m doing? Don’t you want to invite your friends to listen to me?” At some point, hopefully, we grow out of that striving. Our language can leave those of other ethnicities and socioeconomic levels feeling out of sorts and excluded. We offend and never understand why. People leave, confused, and we just assume they didn’t listen. Wallace encourages us to think more carefully about this problem. One example is the use of language that comes from particular Christian subcultures. Specific words and phrases get into the muscle memory of our communities, and we have no idea it renders outsiders lost and excluded. There’s a difference, however, between “Christianese” and the language of Christianity; there’s a difference between something being subcultural and something being countercultural. You learn the difference as you mature as a Christian and a good neighbor. Both languages are learned at a subconscious level. Christianese is a marker of comfort and inclusion. The language of Christianity is the language of a living organism. One is faddish and fades; the other grows and develops, like a tree grows both out, into the sky, and in, deep into the soil. The more pastors can use electric words in the language of Christianity with their own voice, the more people will find their preaching interesting and engaging, rather than adding to the offense of the gospel.